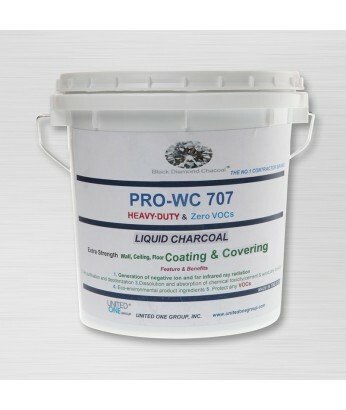 -The paint that contains an alkali anion solution , the best 21century environment friendly material, and natural unpolluted yellow mud and also the nano-molecule from natural oak extract. Purity 100% environment friendly all natural finish materials. "Action and reaction of life are all workings of anion" The human body works on the principle of ion exchange morning in the forest structures produce more than 1900 anions/cc creating the sense of being in the forest"
The increase in the cells colloid functions improves your skins elasticity. We are able to prevent 'New house syndrome' by blocking Formaldehyde, VOCs etc. -you are free from the effects for atopic dermatitis. United one eco-friendly products. Odor-less all in One (oak tree Charcoal technology)" interior emulsion is combining both "Odor-less" and "Formaldehyde Abatement" advanced technologies. It utilizes innovative polymer synthesis to eliminate unwanted in paint odors, low VOC, as well as decreases a certain level of harmful formaldehyde in interior. It still has more than15 functions, e.g. hiding power, anti-fungus, waterproofing and wash ability etc., those are ideal for top quality wall decoration and particularly suitable for repainting use. Caboli Paint's Colour Creations Centers are available for you to choose personalized colors via eco-friendly product unique computerized colour matching system. • Do not use to install vinyl-backed any products. • Do not apply over any adhesive residues including cutback. • Do not install when relative humidity of concrete slabs exceeds 90% (ASTM F2170). • Use only when the substrate temperature is between 50°F and 90°F (10°C and 32°C). • Do not use when the ambient relative humidity exceeds 65%. • All substrates must be structurally sound, dry, solid and stable. or reduce adhesion. All surfaces must be level, even, flat and smooth. Protect containers from freezing in transit and storage. Flash is the waiting time required before installing flooring. Working time is the window of time for the adhesive to accept flooring. * Trowel dimensions are depth/width/space. Coverage’s shown are for estimating purposes only. Actual jobsite coverages may vary according to substrate conditions, type of trowel used and setting practices.